LandingZone Docking Stations - You Can Finally Dock Your MacBook Air! I am sure that I am not the only one who has been looking for a MacBook Air dock. It seems that manufacturers think of the portability of the laptop, but what about efficiency. To get the most out of your laptop when you’re at the office or at home, a docking station makes sense. LandingZone 2.0 PRO, has officially well, landed. The news is really about their latest docking station. But the company has three docking stations for the beloved MacBook Air. They accommodate MacBook Airs from 2010 and up (make sure you choose the right model). The LITE version offers just enough help with 2 USB 3.0 Ports and a Kensington Lockslot for security. 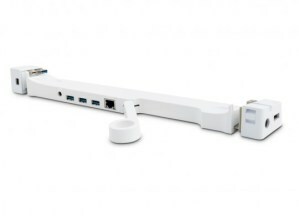 This full PRO version brings you, a powered 4-port USB (3.0) hub and Gigabit Ethernet, plus a Security Slot. For the first time, business users have a way to bring all of the functionality of a desktop to the slim, elegant MacBook Air. Unlike other docking stations, LandingZone offers consolidated access to all peripherals, and allows business users to securely lock their MacBook Air to protect their valuable information. 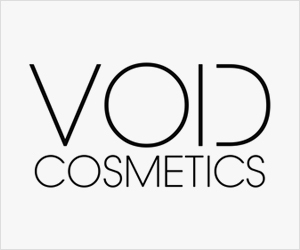 Available in both 11” and 13” models, the product is currently available for purchase on the company’s website for $199, and will be available on Amazon.com later this month. 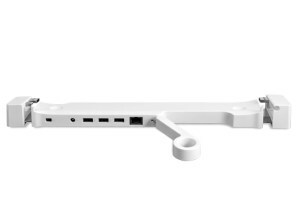 LandingZone 2.0 PRO provides six convenient ports – four USB 3.0 ports; one Gigabit Ethernet port; a Thunderbolt port for monitors, high-speed external hard drives, or other devices – and a Kensington lock slot to prevent theft. Business users can keep all of their peripherals plugged in and enjoy a rich laptop experience when they are in the office. With the Thunderbolt connectivity, the LandingZone 2.0 PRO now supports connecting multiple displays via a single port. 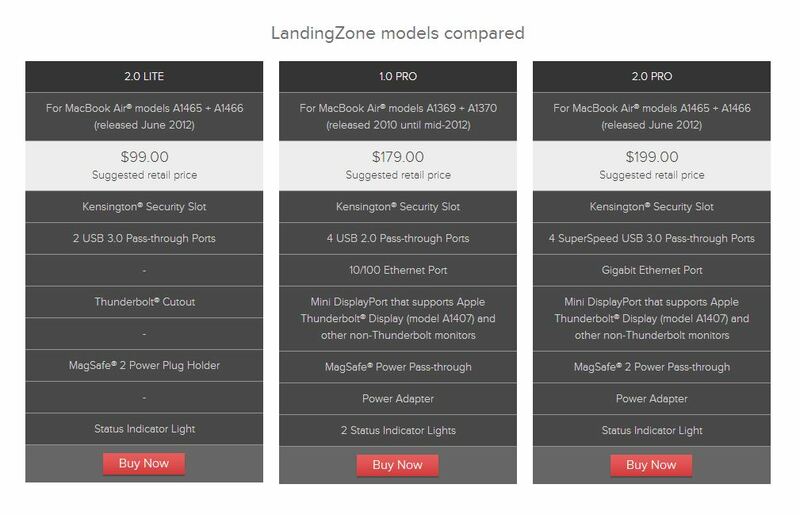 The company will also display LandingZone 2.0 LITE, (for MacBook Air models A1465 + A1466), which offers two USB 3.0 ports and a Kensington lock slot at a lower price point of $99 for users who do not need all of the capabilities of the LandingZone 2.0 PRO. 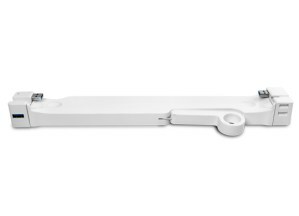 The company also plans to offer a LandingZone docking station for MacBook Pro Retina users during the third quarter of 2013. InfiniWing, Inc is a small Silicon Valley company with big ideas. 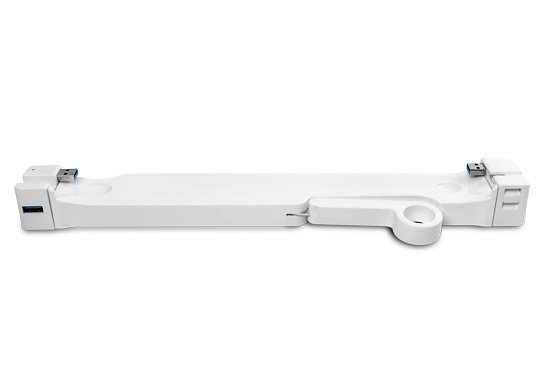 LandingZone 2.0 is a slim and sleek docking and locking solution developed for MacBook Air users who want to dock in a simple, yet elegant way. To learn more about LandingZone, please visit www.landingzone.net , like infiniWing on Facebook or follow @landingzonedock on Twitter.